I have always been confused about what sugar and or sugar alternative is best for you. I have heard many different opinions but one thing I know for sure…refined white sugar is terrible. Sugar has been known to cause acidity among other things in your body and an acidic body promotes disease. I want to keep this post as simple as possible and just give you a brief description of the different types of sweeteners out there you can try as an alternative to white refined sugar. It is my personal belief that the closer we get to a natural food source as a sweetener, the better. For example when making a smoothie and you want it to be sweeter, drop in banana, a pitted date, or some grapes. You will get all the nutrients/fiber and the sweetness you want. Agave Nectar – a natural liquid sweetener made from the juice of the agave cactus. It’s 1.4 times sweeter than regular sugar but does not create a sugar rush and does not disturb blood sugar levels as much as refined white sugar. *I have used agave nectar lightly drizzled on pancakes or waffles and in various baking recipes or hot breakfast cereals. A little goes a long way. Date Sugar or Date Syrup – Date sugar is made by finely grinding up dehydrated dates. 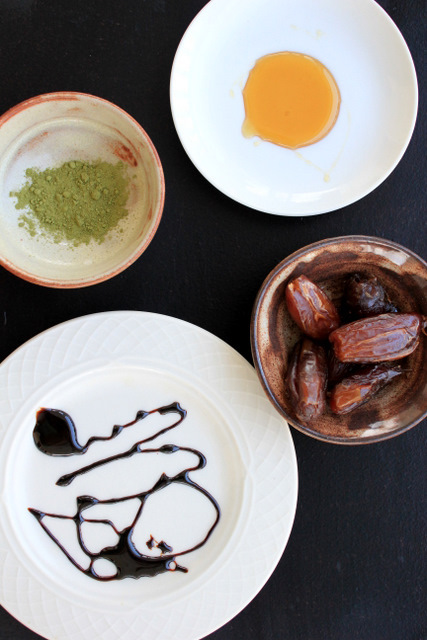 Date syrup is made by soaking pitted dates in water, then blending them with water to create a syrup. This can be easily done at home and in my opinion is one of the best alternatives because you are utilizing the fruit’s vitamin, mineral, and fiber content and they are fairly inexpensive. Brown Rice Syrup – brown rice is ground up and cooked, converting it to maltose. Tastes a bit like butterscotch. You may need to use up to 50% more brown rice syrup than the regular amount of sugar you would use in a recipe and reduce other liquids. Honey – honey is sweeter than sugar and is one of the oldest natural sweeteners. It can have a variety of flavors depending on the plant source from dark and strong to light and mildly flavored. Raw honey contains small amounts of enzymes, minerals, and vitamins. This is not considered to be vegan as it is a byproduct of bees. Maple Syrup – is made from boiled down maple tree sap and contains many minerals. It has a pleasant flavor and is great for baking and of course…good old pancakes. Make sure to purchase 100% pure maple syrup, not maple-flavored syrups that are really just corn syrup. Molasses – It is made from sugar cane or sugar beet that is made by clarifying and blending the extracted juices and then boiling them. It has a very distinct flavor. Blackstrap molasses contains a good source of iron, calcium, magnesium,, and potassium. Rapidura – This is a brand-name product made by extracting juices from the sugarcane plant then evaporating the water from the juice and then grinding the mix in to a powdery texture. It is unrefined and contains vitamins and minerals. Stevia – comes from a leafy herb that has been used for centuries by Native South Americans. The extract is 100 to 300 times sweeter than white sugar and can be used in baking, cooking, and beverages. It does not affect blood sugars which is great for diabetics and has zero calories. It is available in powdered and liquid form but be sure to purchase the green or brown liquids or powders because the white and clear versions are highly refined. Sucanat – is short for Sugar Cane Natural. It is made by evaporating organic cane juice mechanically instead of chemically. It is less refined and retains much of the sugarcane’s original vitamins and minerals. It has a grainy texture and can be used in place of white sugar. Vegetable Glycerin – is derived from coconut and palm oils. It is a very sweet colorless and odorless liquid. It is ideal for candida patients because it does not contain sucrose. Artificial sweeteners such as Splenda should be avoided like the black plague. Sucralose was discovered by British scientists whom were attempting to make a pesticide and substituted chlorine atoms for hydrogen-oxygen atoms which is the basis for the highly toxic pesticide DDT, and can accumulate in fat cells. It does NOT occur in nature therefore your body can’t metabolize it which is why it contains no calories. Aspartame is another artificial sweetener that should have you running for the hills. It’s a neurotoxin which means it causes brain cells to excite and then they die. I would honestly prefer for you to consume refined white sugar over these unnatural freaks called sweeteners. Beware, many packaged, processed foods and most chewing gum contain these sugars. If you see products labeled “sugar-free” they are an indicator that they are sweetened with toxic artificial sweeteners. READ your labels! Lastly, switching from white refined sugar to brown or turbinado sugar also does a disservice to your body since these alternatives are not much different in sucrose content. You can find agave, maple syrup, and molasses just about anywhere now but other sugars like unprocessed stevia and sucanat will most likely be found in health food stores. I personally use dates, sucanat, and agave regularly and enjoy them. Test some of these alternatives out and let me know what you think! Enter to receive notifications of new posts by email.